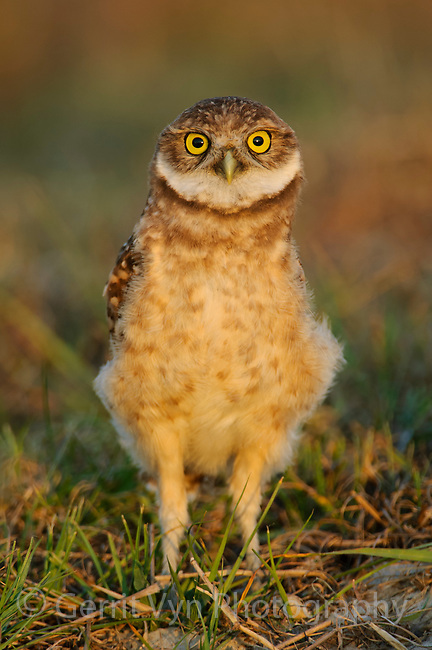 Juvenile Burrowing Owl (Athene cunicularia) of the subspecies A. c. floridana near its nest burrow. Cape Coral, Florida. March.